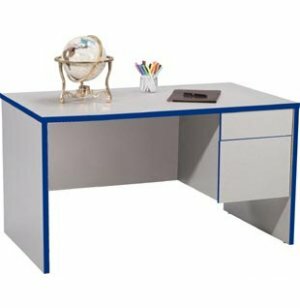 Educational Edge teacher's desks help furnish your classroom with a fresh, new look. 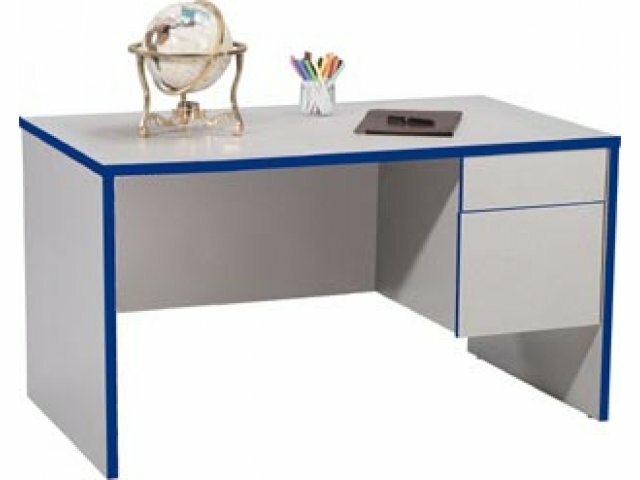 These durable single and double-pedestal teacher's desks are part of the Educational Edge color-coordinating line of classroom furniture that create a conducive, motivating learning environment. File drawers with full-extension ball-bearing slides. 3mm edge banding available in six attractive colors. Gray Nebula and Natural Wood laminate surfaces are non-toxic and stain resistant.